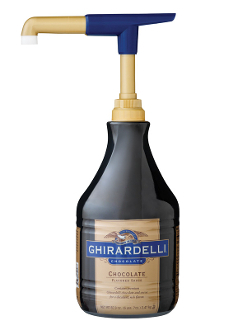 Ghirardelli's Black Label Chocolate Sauce offers a wonderfully rich chocolate flavor. The taste profile is smooth and creamy, and would be classified as a milk chocolate taste. This sauce makes a great frozen yogurt and dessert topping.The attractive 90 fl oz bottles come packed six per case. Pump sold seperatley.